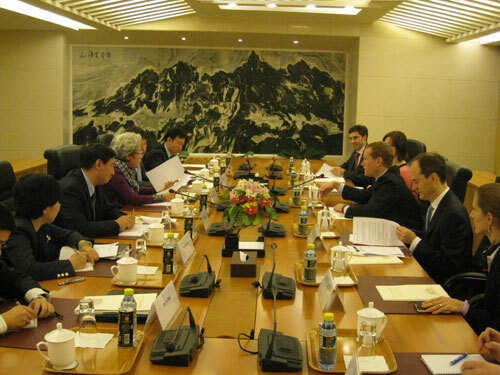 On November 15, Ms. Fu Ying, Vice Minister of Foreign Affairs, met with Mr. Jeremy Browne, Minister of State of the British Foreign and Commonwealth Office, who was visiting China. The two sides agreed to make good use of the opportunities such as the 40th anniversary of the establishment of diplomatic relations between China and the UK and the London Olympic Games next year to further enhance mutual understanding, deepen cooperation and promote a sound and steady development of the bilateral relations. They also exchanged views on the situation in the Middle East and North Africa, climate change and other international issues of common concern.